Well, I haven't seen one of these started yet this year, but with today being the opening day, I suppose its time. Who is going and when? I'll be bowling April 13 and 14. I'm only about three hours away from Las Vegas so I'm hoping to make at least one short trip up to scout and bowl the Bowler's Journal. This will be my 4th year. Looking forward to a good one. I'll be making my Open debut this year. Really looking forward to it because it will also be my first time going to Las Vegas. We're bowling May 23rd and 24th. My doubles partner and team captain is a left-hander also who is a silver level coach so I'll have someone who can help me play the lanes and with ball/surface selection. I imagine the low to cash in the top division will be higher with no longer those sub-200 bowlers in that pool of players so it's going to be tougher but hoping to do reasonably well. I plan on entering the Bowler's Journal as well. Yeah, champ, in years past, I've started the nationals thread w/ the oil pattern(s) for the tournament, but, with the USBC not publishing them until after the tournament, I've had no reason to start the thread. 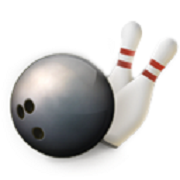 I suspect some of the teams that have USBC Masters bowlers will be bowling either this weekend or in the week following next week, after the Masters is over. When success of a tournament is based on the number of entries, one has to wonder about A Future For The Sport. My own opinion is that the USBC has decided to take advantage of the overall climate of the nationals and turned it into a handicap tournament for the masses. I get the vacation theme, the fun of being in such a huge event, and the social aspect. I just don't agree with it. I also don't view the financial support of the USBC to be my goal in life. IMO, the sad basis of making the event a fair, level playing field is laughable. Having severe restrictions on the pattern, no video, etc does no good. The people that are there to show up and be donors, will continue to be donors. The best bowlers will simply win by more, because, they are better. The USBC OC has a long history, and winning an Eagle is still, and always be, very special. But you have perhaps 25 or so teams that have a chance at one, the rest are there to simply fill the coffers. My broader view is that the OC is starting to look like many leagues. How many positions cash is more important than the competitive aspect. We are in a league which is now typical. The first place team members will never get back that which they paid into the prize fund, never. The fund is whittled down by so many insignificant awards that it gets diluted before the league ends. 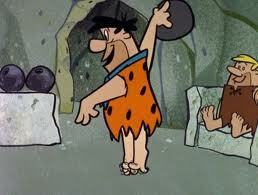 This, in my view, has made league bowlers less enthused. Aside from Jeff Richgels I may have been the most vocal opponent of hiding the pattern. I've done my best to be a thorn in their side, annoying them at whatever chance I could get. Its a stupid rule, does nothing to benefit the tournament, and does in fact hurt the tournament. Its a losing decision. But I'm still going and really looking forward to it. And there's already plans in place to make the cross country flight to Syracuse next year. Nationals sorely needed a third division if it was going to keep enticing the largest percentage of league bowlers across the country (180-210.) Now those guys have a chance to compete against each other for a title and bracket winnings against their peers rather than have their heads beat in by blue chip teams. But I also see that it really hurts the draw of the bowlers in that upper division who used to win a lot of bracket money but will now be in the bottom of the division, and who at the same time know they don't have a chance at winning an eagle. Why should they continue to come? Most agree that its simply an awesome experience. The sheer number of competitors, the grandeur of the atmosphere, the history and prestige, not to mention taking a week off work to go bowling. For most of us its a lot like buying a lottery ticket. We know we won't win, but that won't stop us from daydreaming. Maybe this is my year! I hear ya. But in comparison to the US Open Golf tournament, it's a joke as far as that goes. But those in charge are Picnic and tailgater types. Perhaps they could just call it the USBC Open, and leave it at that. But either way, the pattern nonsense only highlights a lot of the sport's troubles. I'll be bowling April 13 and 14. I am in town from the 4th to the 12th and am bowling the 11th and 12th. Perhaps we can throw together a get together? PS I agree with you and Riggs...no matter how tight you keep the lid on the pattern, SOMEONE knows (more than 1 actually) and once people bowl on it the secrets will get out. The only fair method is publicizing the pattern. I also dislike that they aren't broadcasting any sessions live this year. How do they think this is good??? I didn't catch nearly all of 'em, but I enjoyed watching people who know how to do this game doing it! We'll be there April 1 and 2. I've said it before and I'll say it again. Publishing the pattern means squat to the masses of average bowlers like me. We will struggle regardless if we know or don't know in advance. The folks who can do something with the knowledge is a tiny portion of all bowlers. The USBC likes to do things just to do things, regardless if it make sense. Knowing how a pattern starts out isn't as important as knowing what to do as that pattern breaks-down. Those who make the proper adjustments and throw the ball in the right place will score and those who don't, won't. Flat patterns are tough on those who've learned to lean too heavily on 'typical house shots'. Squad times and desert humidity can also play havoc. For those who are serious, stay out of the casinos, get some sleep and good luck! Generated in 0.021 seconds in which 0.003 seconds were spent on a total of 15 queries. Zlib compression enabled.